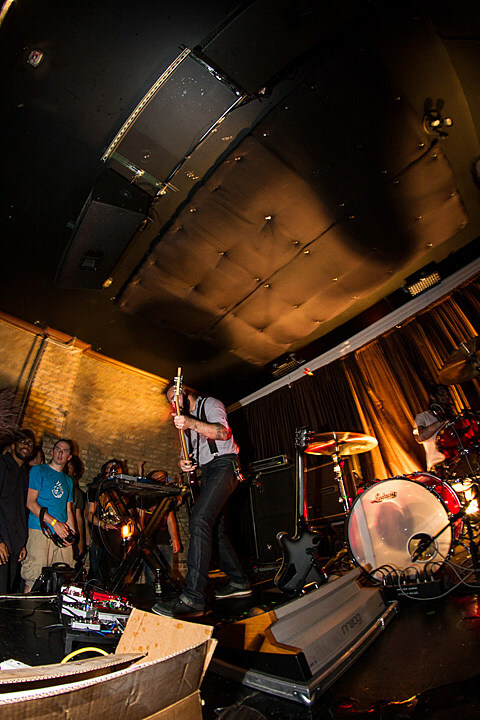 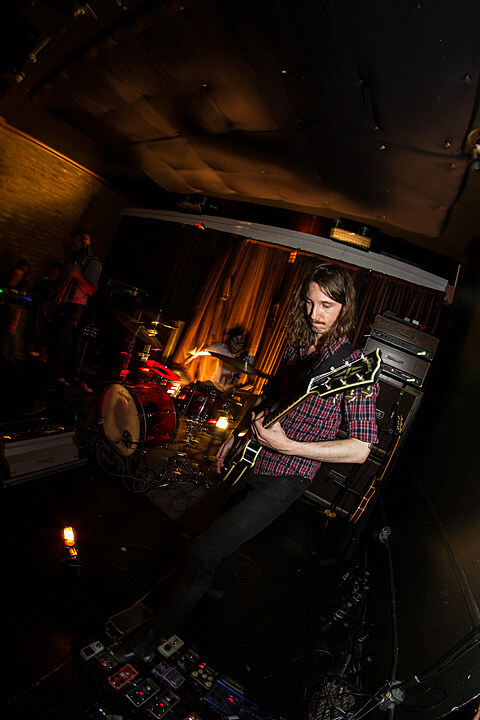 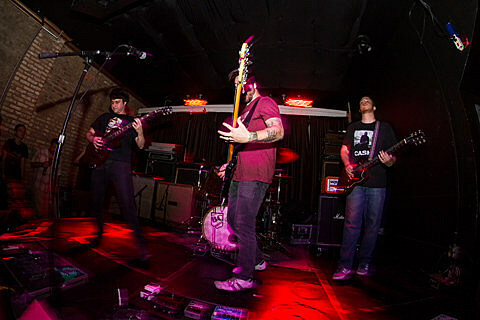 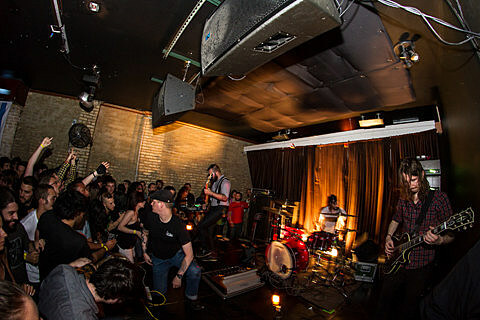 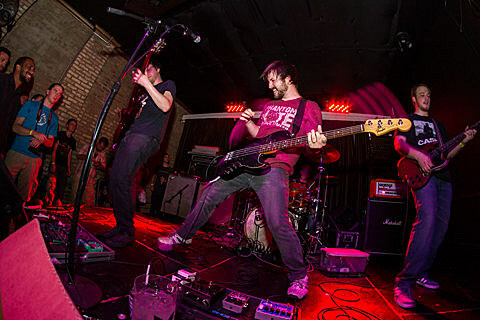 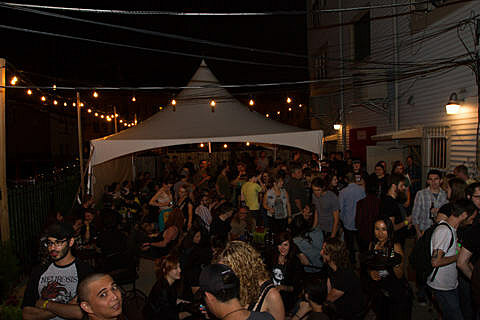 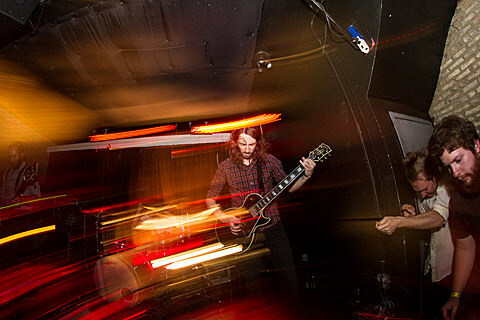 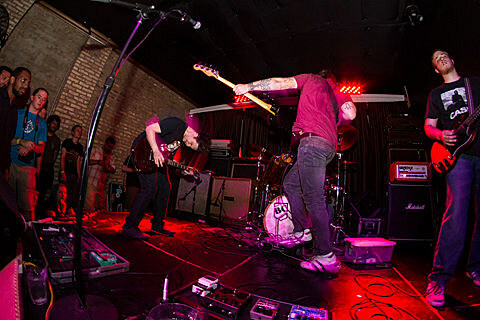 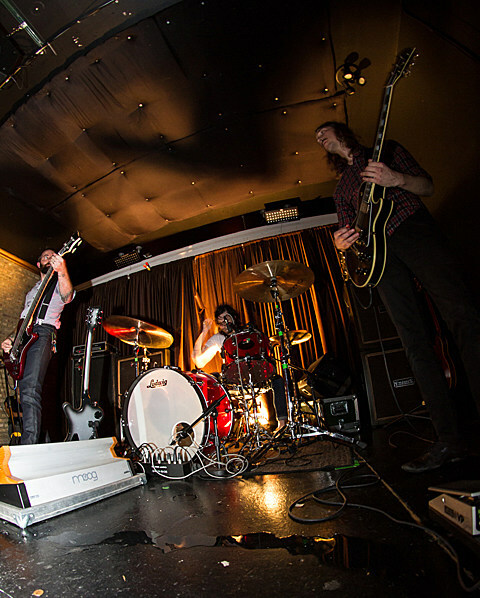 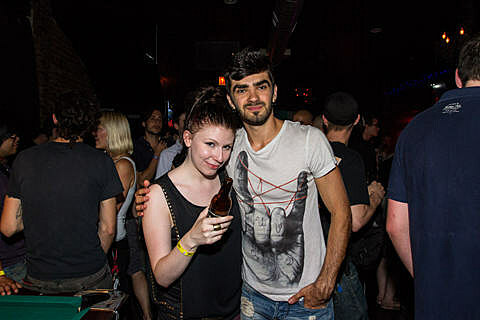 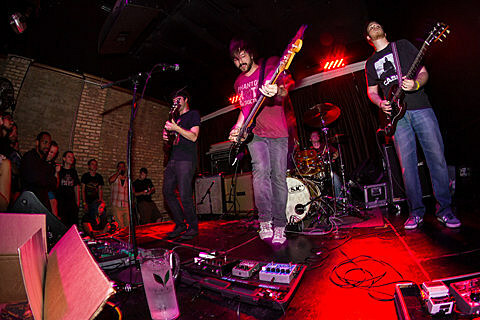 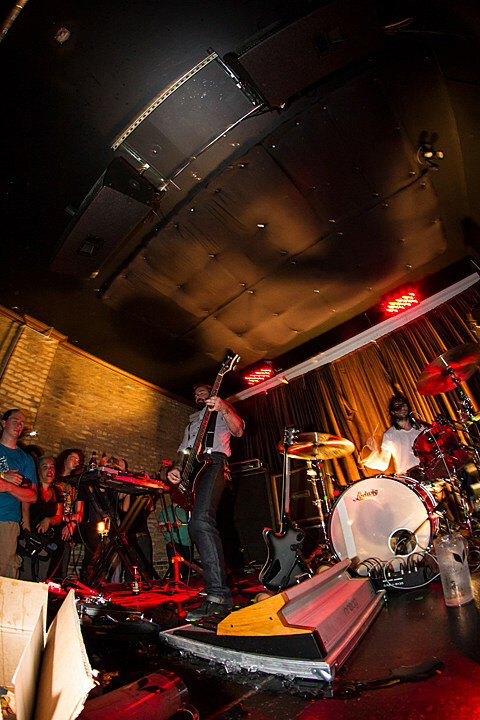 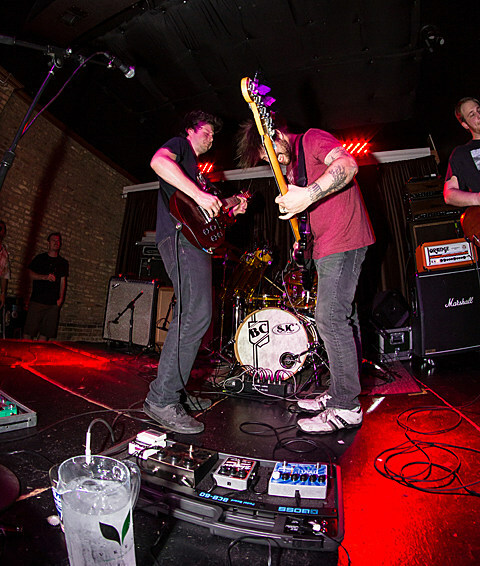 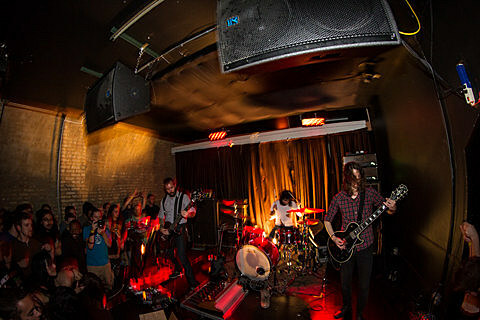 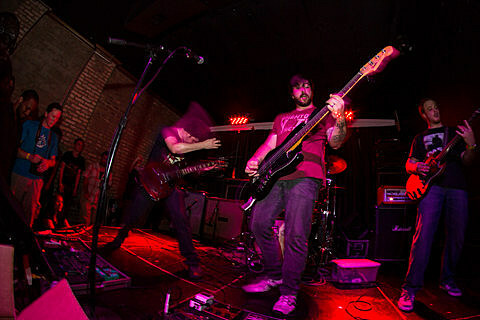 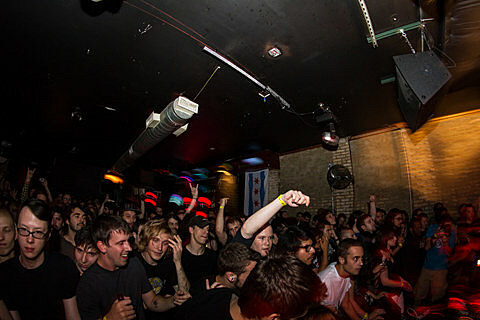 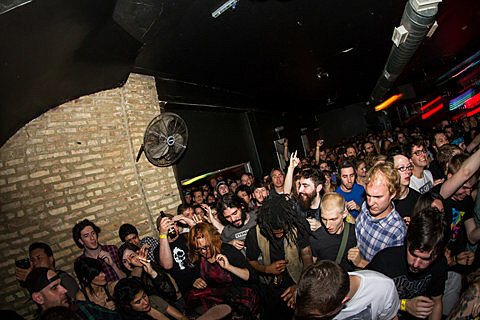 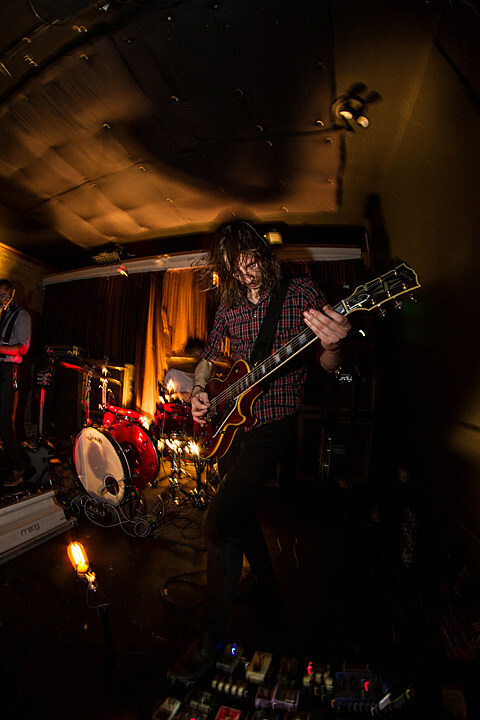 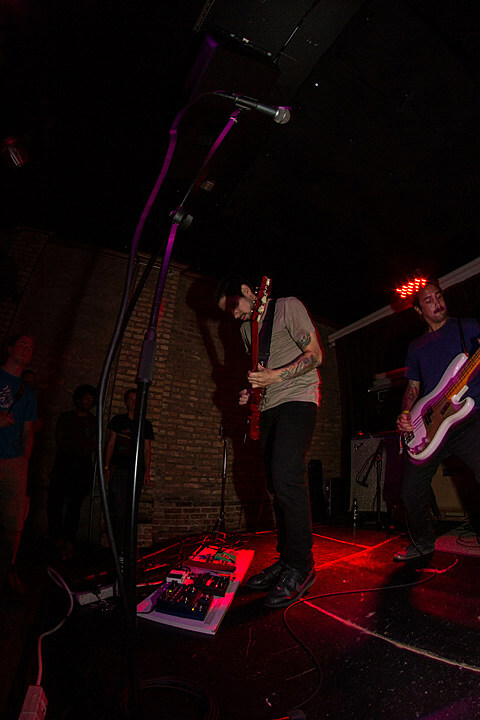 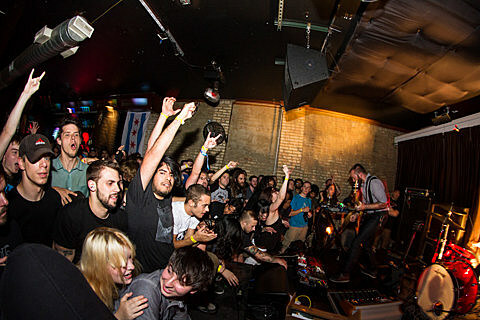 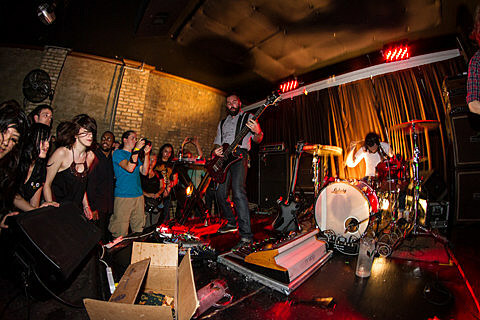 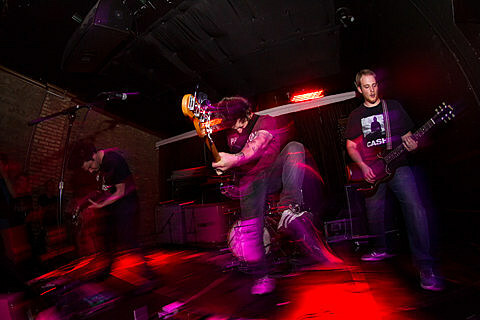 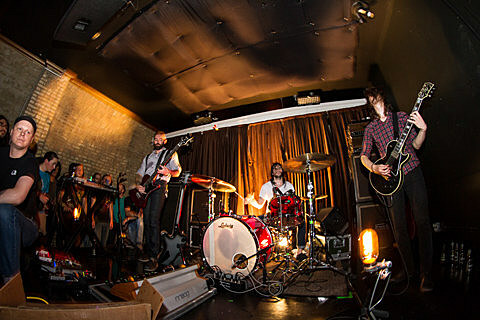 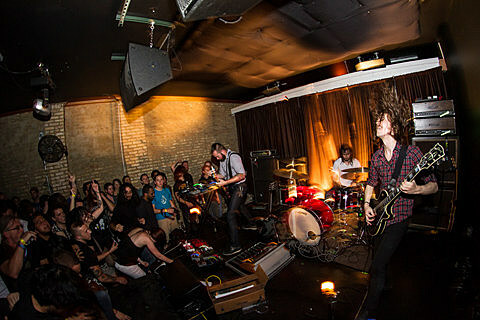 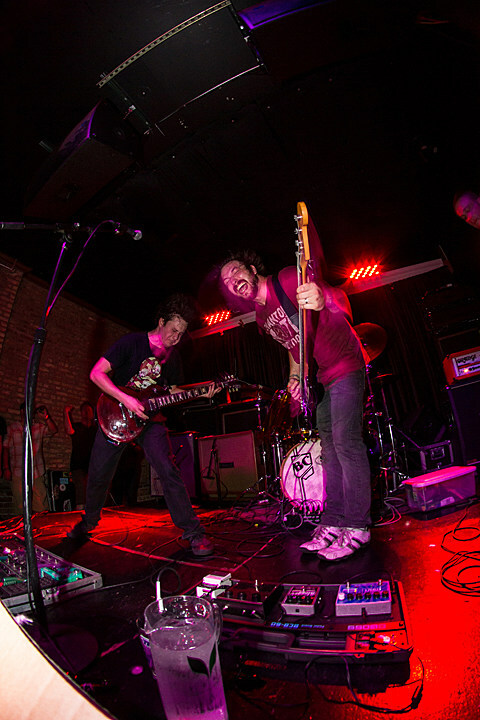 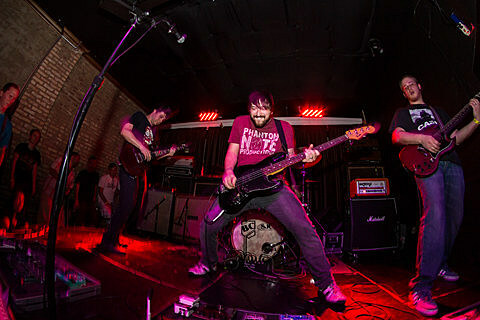 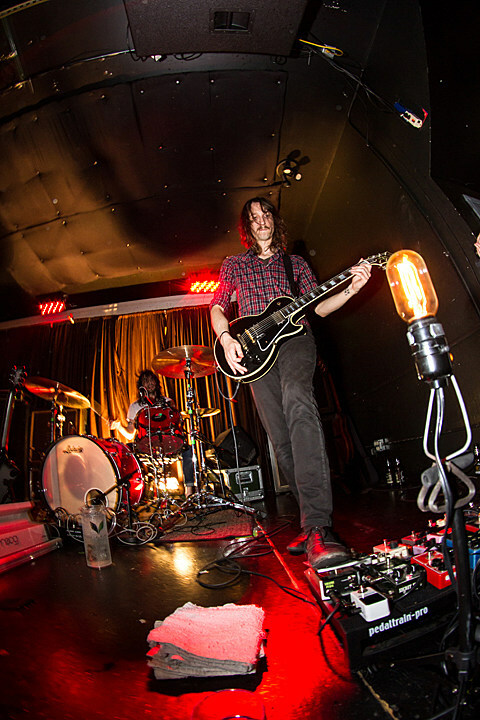 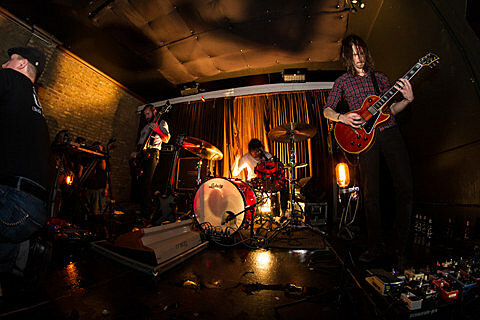 Our, BrooklynVegan, and Invisible Oranges‘ three–night takeover of Ultra Lounge came to a close on Saturday (8/3) with a Russian Circles-headlined show. 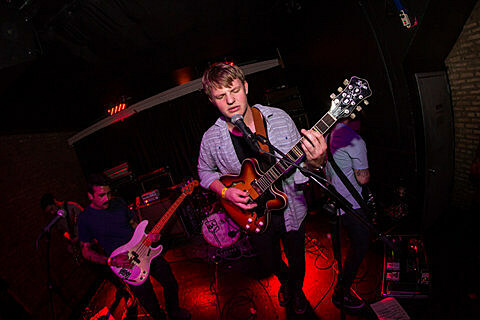 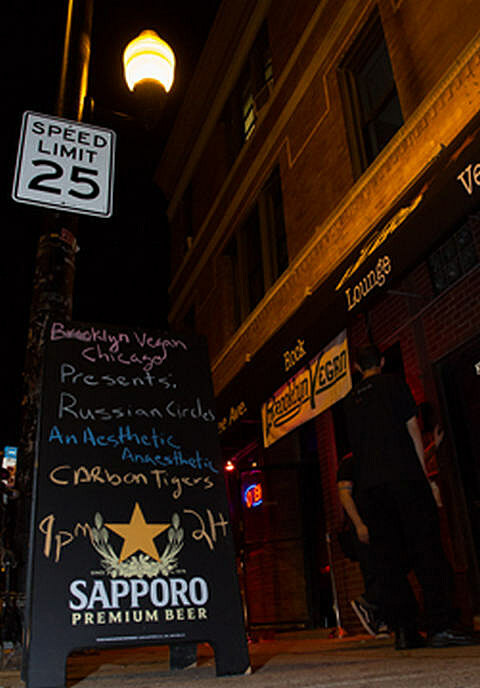 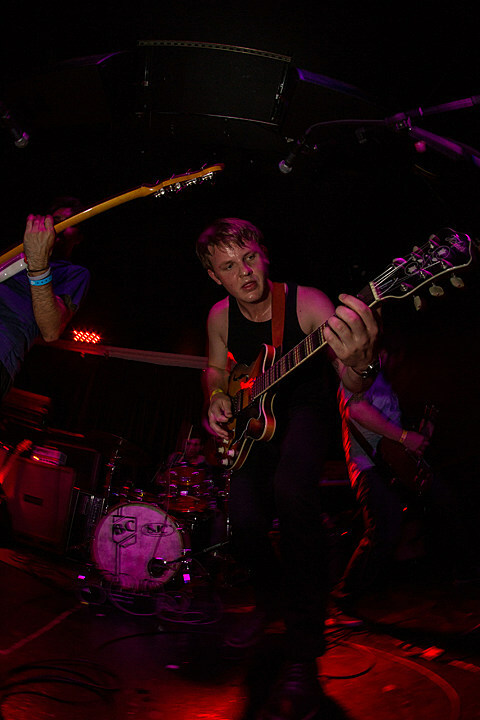 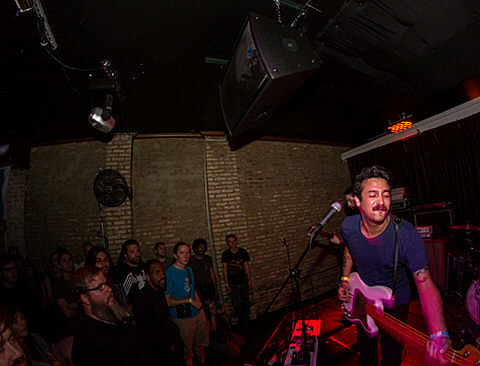 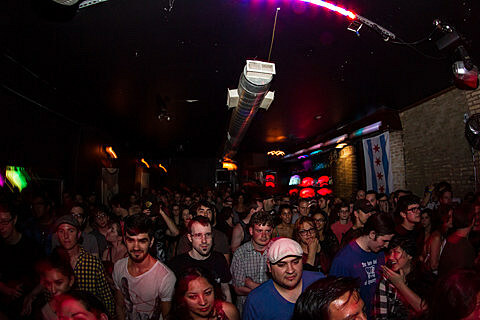 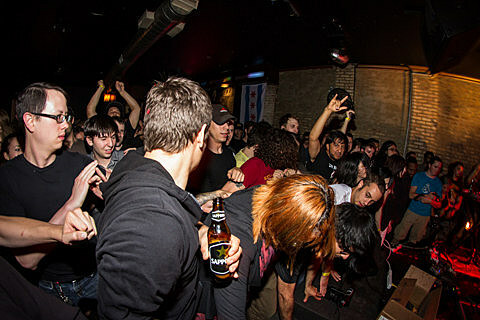 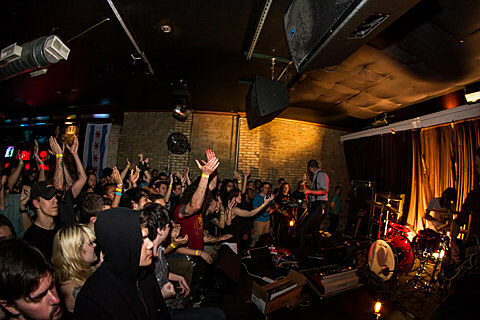 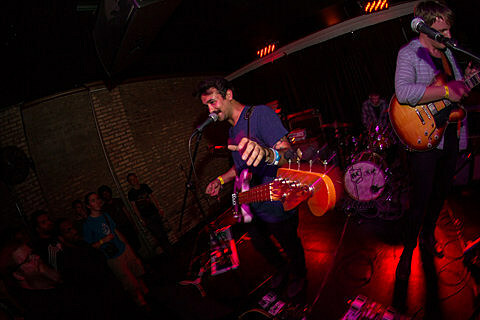 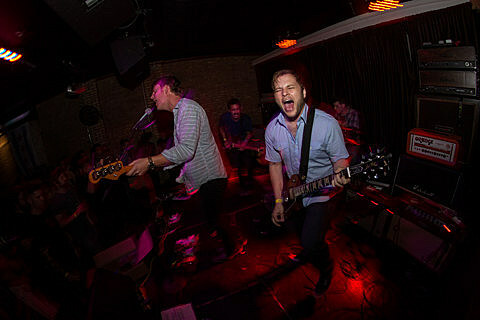 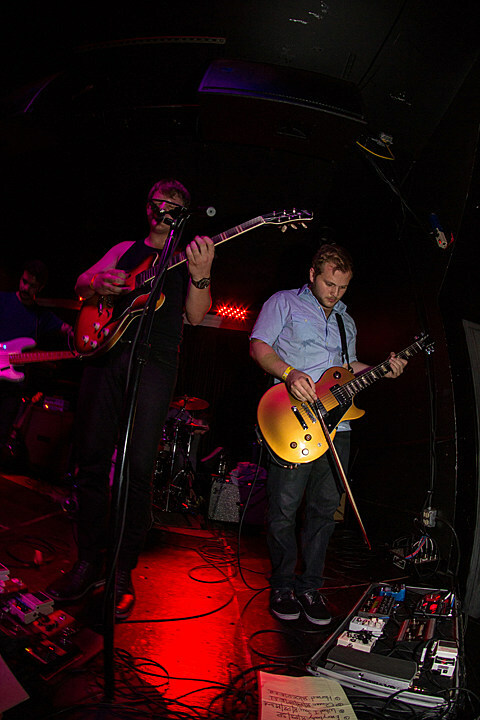 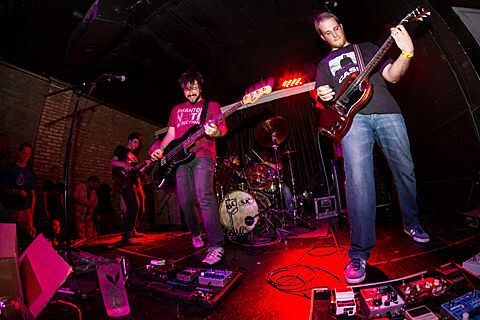 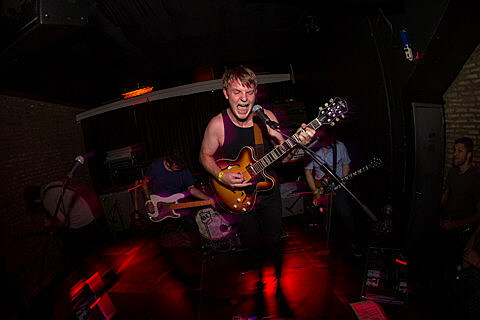 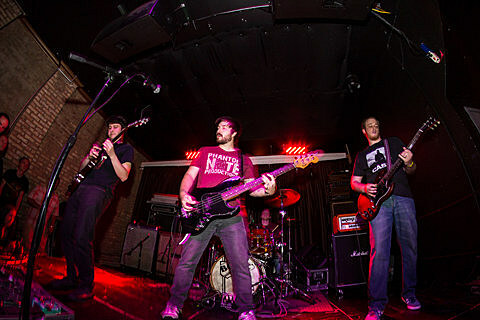 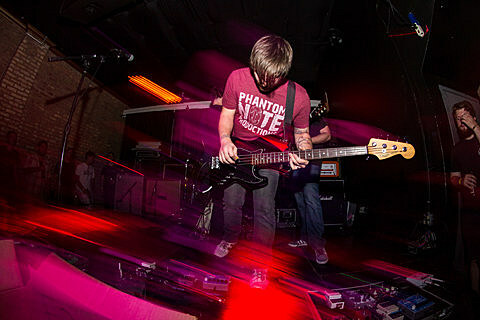 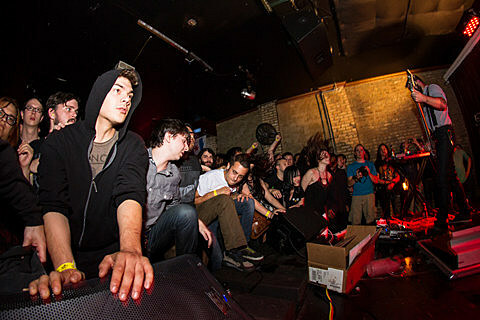 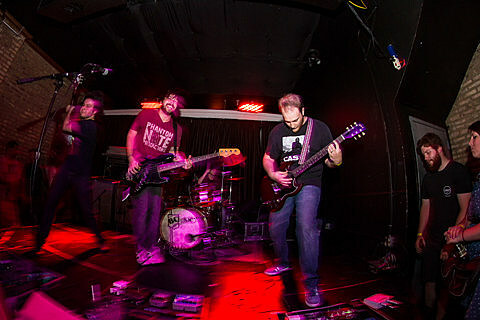 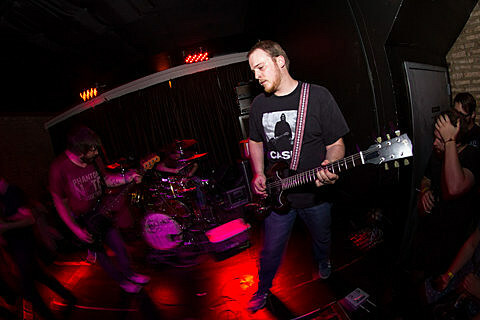 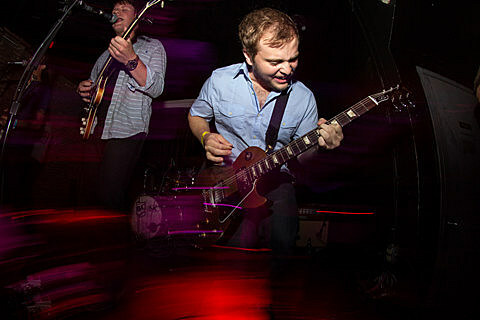 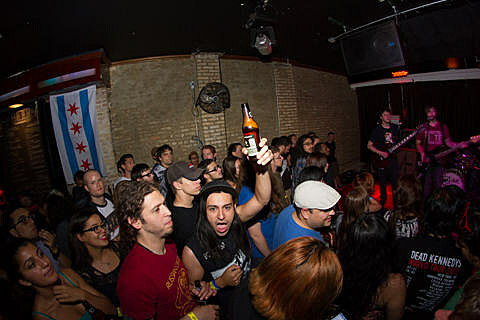 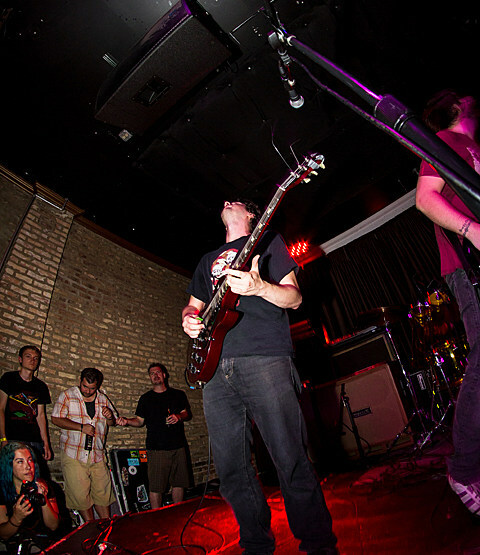 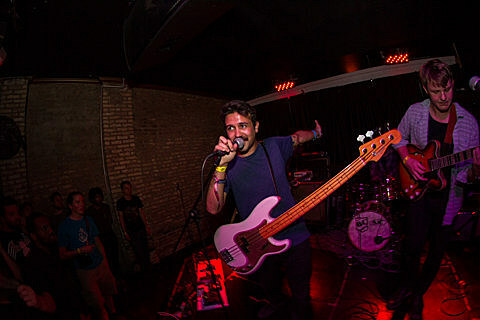 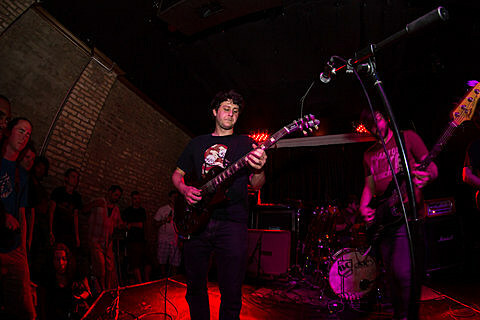 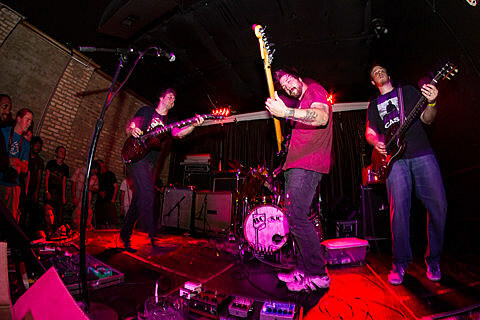 The fully Chicago bill also featured indie rockers Carbon Tigers and energetic post-metal quartet An Aesthetic Anaesthetic. 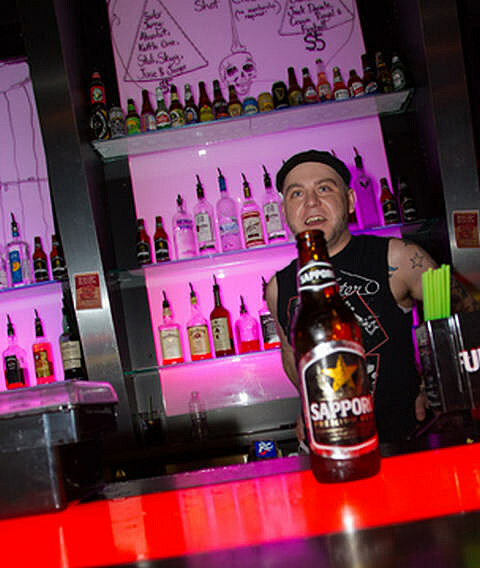 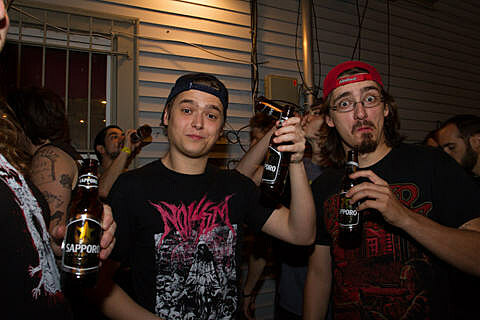 Both openers, DJ Cool Hand Luke, and A LOT of free Sapporo Beer got the night started off right. 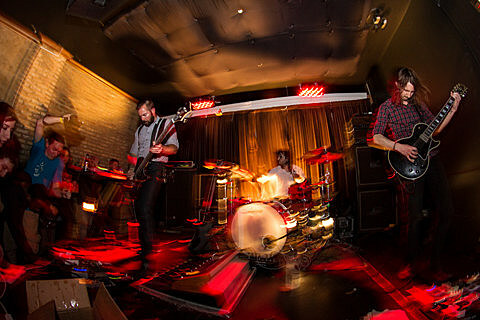 After AAA’s extremely packed and anthemic set, Russian Circles took the stage and shifted the mood to a comfortably dark place. 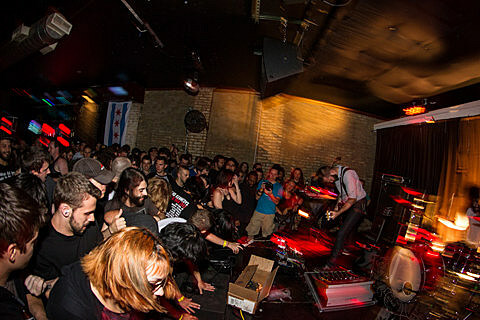 The energy in the small room was palpable, and much of the audience proceeded to meet their opening song “309” with a wild mosh-pit. 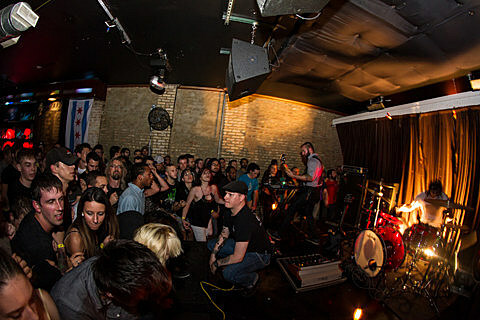 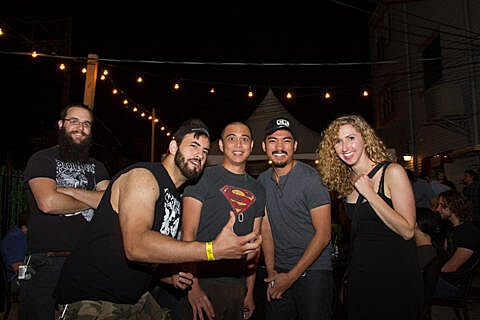 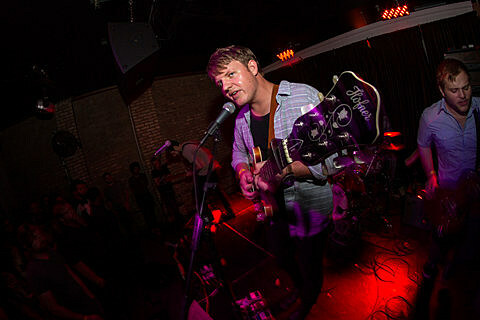 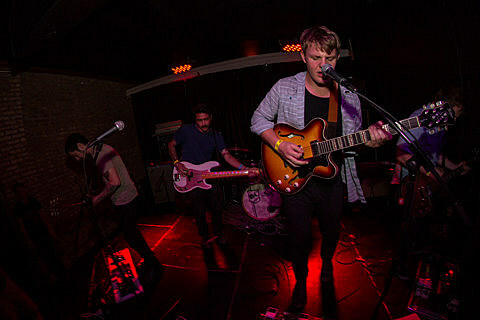 The crowd interaction didn’t stop there, continuing for fan-favorites like “Harper Lewis” and “Death Rides a Horse.” They also performed at least — it’s hard to tell — two great new songs which will hopefully appear on their forthcoming fifth album. 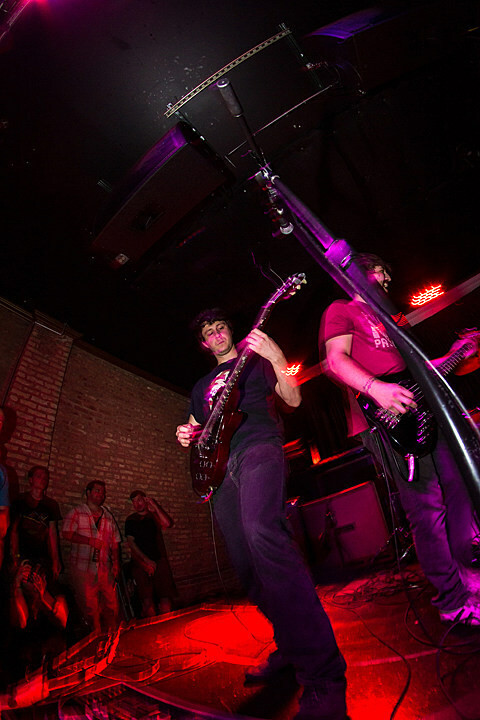 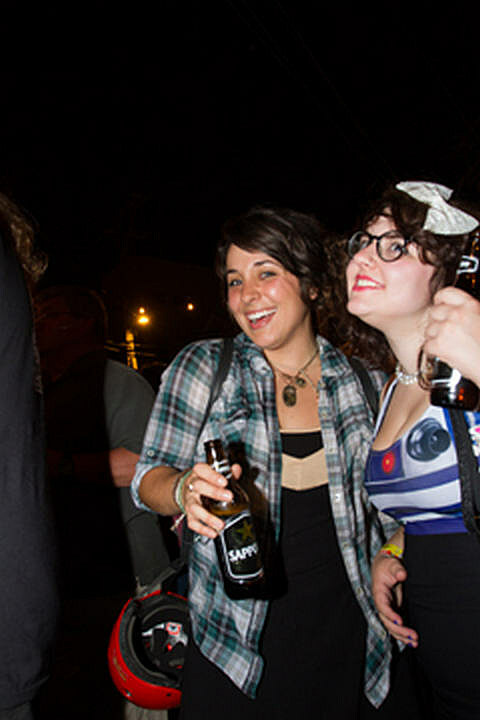 We’ve got a full set of pictures and some video footage from the 8/3 show in this post.